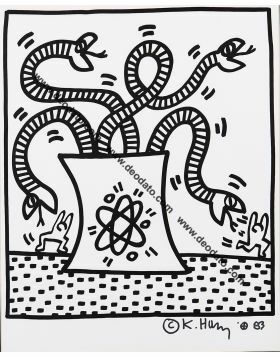 Keith Haring realized in 1983 a series of wallpapers for the Montreux Jazz Festival, one of the most important musical events in Europe that is held every year near the shores of Lake Geneva in Switzerland since 1967. 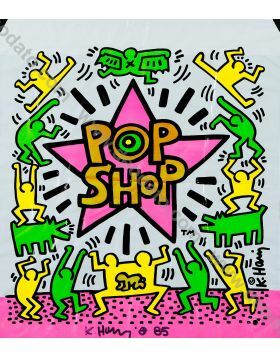 Haring is known worldwide for its stylized figures, simple and colorful that made his art a strong visual impact. No exceptions to these wallpapers in which the character is represented in a spiral that is also emotional, carried by the soft melody of jazz. Colored Walpaper signed and dated in original with a black marker, 1983. 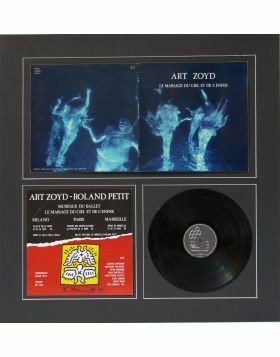 Limited edition in 80 works in the world. 100x70 cm. 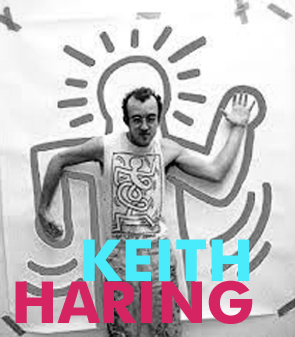 Keith Haring was born in Pennsylvania in 1958. He approaches the art world since he was young also thanks to the influence of his father, a cartoonist. He moved to New York in order to study visual art, he begins to be known by making murals on the walls of the New York subway. Quickly his simple and recognizable style makes his way in the popular imagination. A style of essential stick figures by thick black outlines in contrast to the colorful characters that seem to come directly from a primitive world, in order to recover with all their simplicity in the frenzy contemporary big cities. In the fervent artistic climate of the Eighties, the transition from the New York City Walls to the international recognition is short. He Began working in many cities around the world, in America, in Europe and also in Australia. 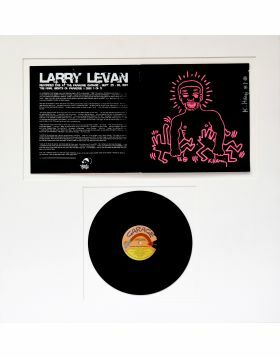 In 1986 he was commissioned a 300 meters mural to the Berlin Wall that symbolized the union between East Germany and West Germany, a beautiful example of how art can be an expression of freedom from thoughts and obstacles. In Italy we have a beautiful piece of its public art still well preserved on an outside wall of the Sant'Antonio Church in Pisa. 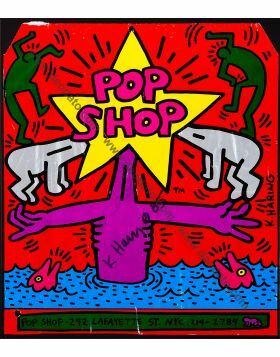 Haring's extraordinary intuition was to open a store in Soho, Pop Shop , in which was selling gadgets, T-shirts and reproductions of his works on a variety of items so that his style and his art could get anyone anywhere. 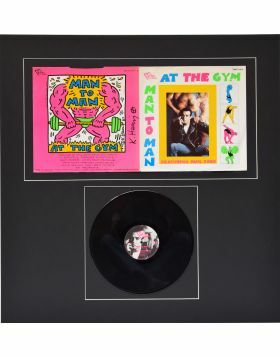 What mattered most to Haring was to make his art accessible economically as it was visually accessible to any passerby in all the streets and cities of the world. 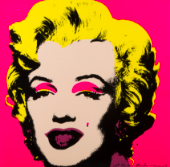 Unfortunately his career was short because the artist fell ill with HIV and died in 1990. This work has a frame and is very delicate, it will be protected with bubble wrap and will create a special wooden box: this may take up to 3 days of work. If the shipment is outside EU it is necessary to prepare an export documentation that can take up to a week of time. The work will arrive intact at your destination, but if something should happen, don't worry, we are assured! We advise you to contact one of our gallery operators to reserve the work and arrange shipping.